Zowell provides different parts to choose from for our custom electric reach trucks based on our standard forklift truck designs. There are some attachments, such as bale clamp attachments, stabilizers, tilting forks, low-height masts, wider fork carriages, and load backrests. 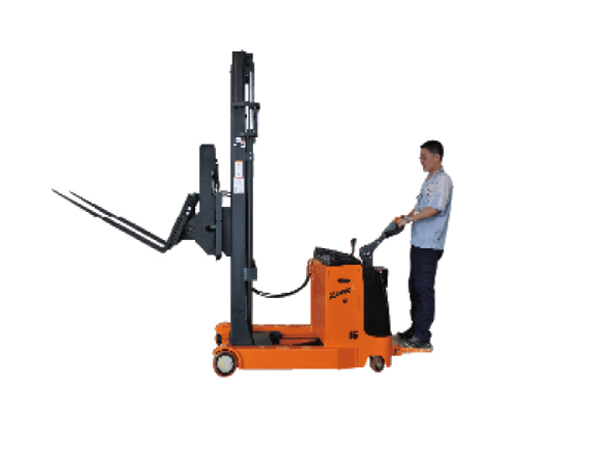 The trucks are typically produced with fork buckets and other containers, so we provide electric reach stackers with tilting forks. These can safely and effectively dump bulk goods with a simple tilting mechanism. 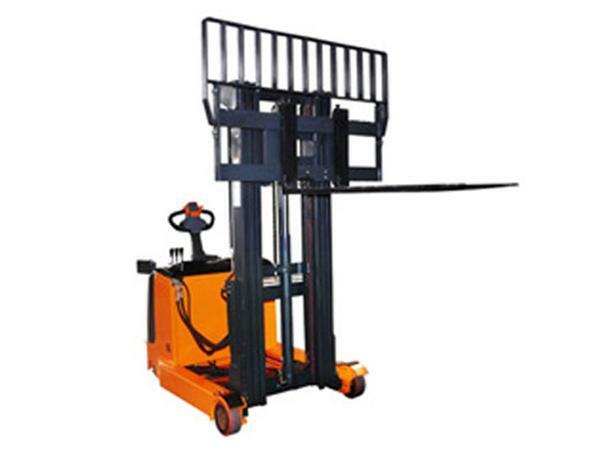 The customized truck can also be used for fork tilting, which is required by the following industries: goods recycling, fertilizer production, smelting and forging, and plastics production. For an industrial mining company, a large tray of special requirements is required because of the materials being handled. 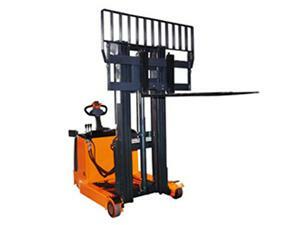 We widened the carriage and load backrest of the electric reach truck according to the specifications of the customer. Our designer provided two trays that would meet the specifications: 1600×1600mm and 2300×1200mm (the entry of the fork is at the point of 2300mm). If you require a non-standard tray with specifications not listed on our normal product parameters, contact us directly and our designers can make adjustments accordingly. 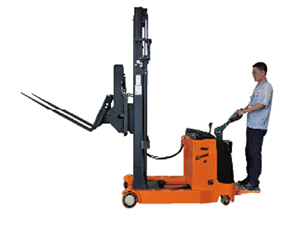 In this case, we replaced the fork with a bale clamp attachment so that the electric reach truck can be used to transport goods with flexible packages. This truck can realize highly effective and efficient transport and stacking without a tray.